There are a lot of unique and interesting pieces of Architecture in the world, one of which I happen to visit recently was the Nautilus house located near Mexico City. It has been Architected by Javier Senosiain of Arquitectura Organica. It has a unique shell shaped design which is both innovative and audacious. 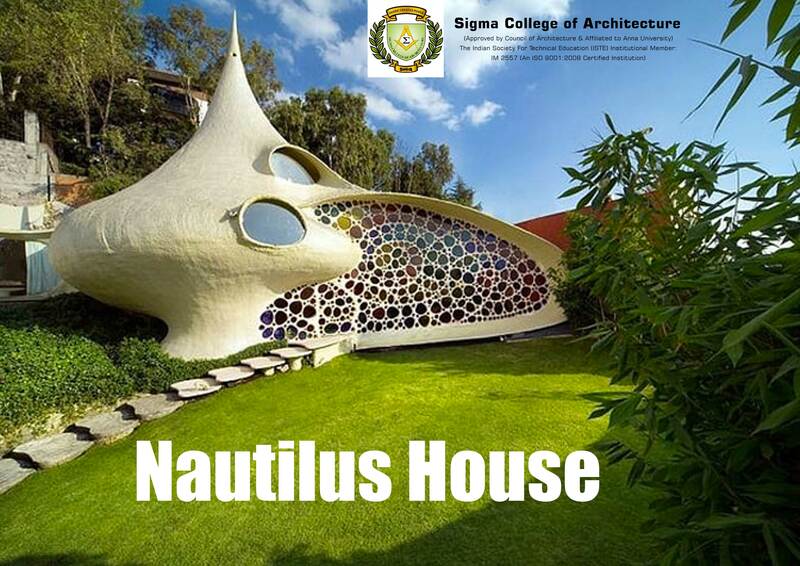 The Nautilus House is the perfect example of the right blend of modern Architecture and contemporary art and has an organic theme to the building. Each element of its colorfully stained glass brings out a certain continuous dynamics and the spiral stairs gives the feeling of floating over the vegetation. Here at Sigma College of Architecture, one of the Top Architectural Colleges in South India we help our students broaden their horizons on more challenging projects.